The NYU Abu Dhabi Arts Center was on a break in January, but ready to go in February. Here's the line up of acts coming next month. It's quite a varied mix of acts, 'cinematic pop', hip hop, dance performance and Balkan brass. Should be quite a month. Personally, I'm looking forward to seeing Rotana Tarabzouni, a Saudi singer and songwriter currently living in Los Angeles to pursue her music career. Here's a recent interview with her on BBC. 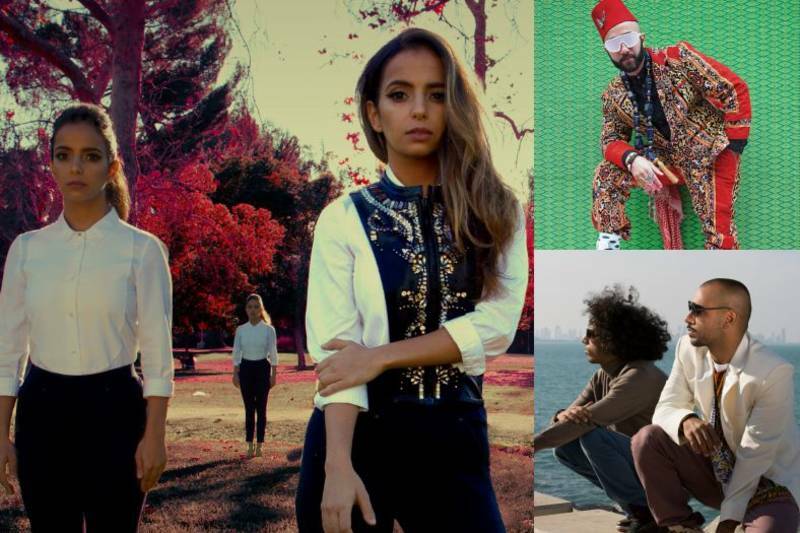 Desert Storm, curated by Noor al Suwaidi, promotes musical talent from the Middle East who are breaking stereotypes, bridging cultural understanding and empowering men and women from the region. Rotana Tarabzouni, a Los Angeles-based Saudi artist and songwriter, describes her music as alternative/cinematic pop. Sons of Yusuf, featuring Kuwaiti brothers Ya’koob and Humble Abdul, blend hip-hop culture with an Arabic twist. Narcy (aka Yassin Al Salman), born in Dubai to parents from Basra, Iraq, and raised between the UAE and Canada, uses hip-hop to explore issues including history of art, identity, religion, colonialism, and race. This event is free and open to the public. Tickets will be available for online reservation on 20th January 2016 at 3.00pm (UAE time). The acclaimed UK-based dancer Aakash Odedra explores his own childhood struggles with learning disabilities through a nexus of light, sound, design and movement. Odedra creates work that is visually beautiful, heart-wrenching and heart-warming, and full of drama and movement. Murmur 2.0 explores Aakash’s battles with dyslexia and how the world around him responded to his perceived disability. Diagnosed at a young age, Aakash found conventional education at school very challenging. He felt defined by his learning difficulties, but not his abilities. As written language was so alien, dance became his preferred mode of expression. In this groundbreaking piece, he uses his own childhood struggles with learning disabilities as a springboard into a deep and meaningful investigation of warped and exaggerated realities. Set to an evocative score by Nicki Wells, Murmur 2.0 reveals the tension that exists between the rational world that we live in and the richness of our imagination. This collaboration between Odedra, Australian choreographer Lewis Major, and Ars Electronica Futurelab of Linz, Austria, explores how the misconceptions of dyslexia can be revealed through visual design, light, sound, and movement. This event is free and open to the public. Tickets will be available for online reservation here on 27th January at 3 pm (UAE time). 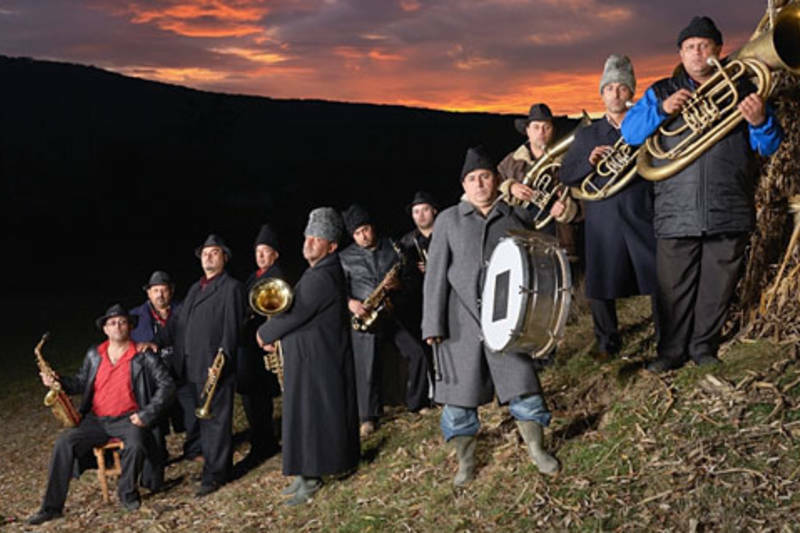 Emerging two decades ago from an isolated village in rural Romania, the unstoppable Fanfare Ciocarlia have become a global phenomenon, revolutionizing brass music and influencing artists in genres from world to classical to rock to jazz. Fanfare Ciocarlia’s unmistakable sound, their unique repertoire and techniques, have enriched the world music scene while also influencing classical music, EDM, rock and jazz. Why are Fanfare Cicocarlia beloved across the world? Because they never fail to deliver the wildest parties, the phattest Balkan beats and and the deepest Gypsy soul. Making a special stop in Abu Dhabi on the 20th anniversary world tour they’re calling Onward to Mars!, the band’s legendary “wall of sound” will shake the walls of NYU Abu Dhabi and bring the crowd to its feet. This event is free and open to the public. Tickets will be available for online reservation here on 10th February at 3 pm (UAE time).